We don’t strive to look or be perfect. It’s all about self-expression and individuality. This is why we started our first blogs now because people are hungry for real inspiration and we want you to see what we’re wearing on clothes that we can afford and most importantly our personality that you can relate to us. 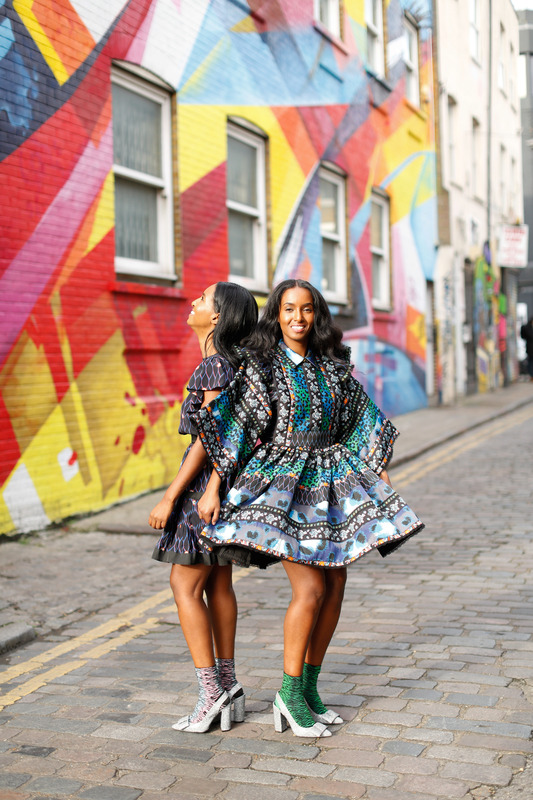 Who wouldn’t love so much colourful and vibrant prints? That’s right, the whole world is talking about KENZO X H&M collaboration. 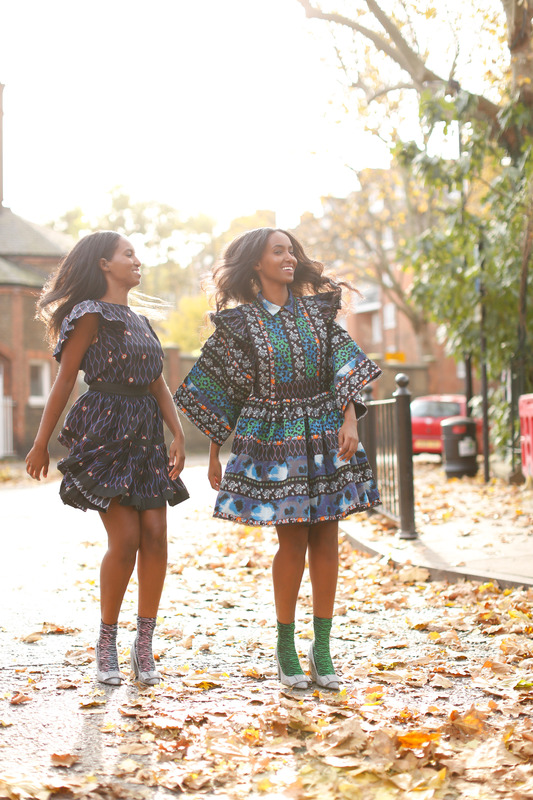 This collection is so young, tribal and free-spirited yet beautiful prints. 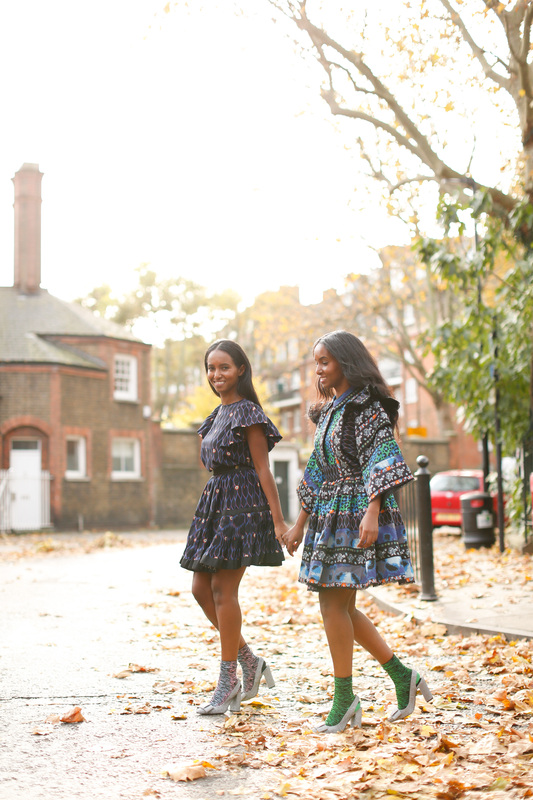 It was sold out but we want to show you that the pieces we choose have won our heart. 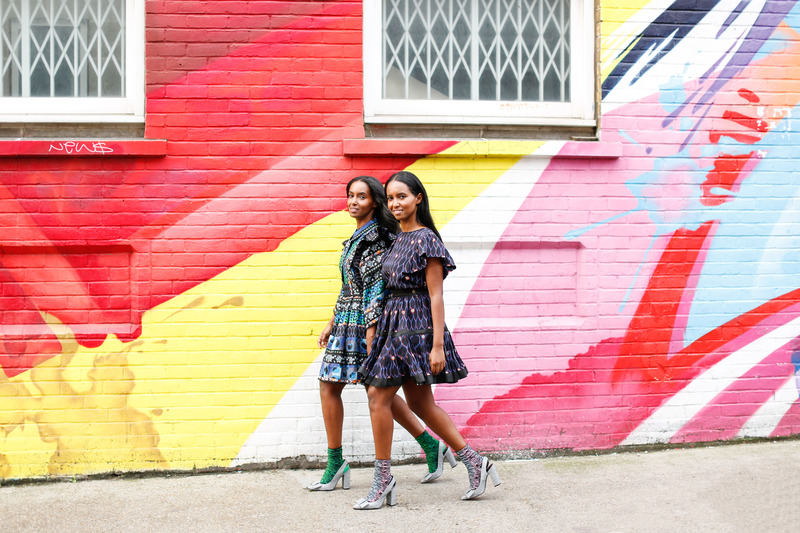 A colourful print stunner dresses and zebra socks with H&M glittery heels. It’s very cold in London, wearing socks with heels to keep us warm and the trend is back this season. 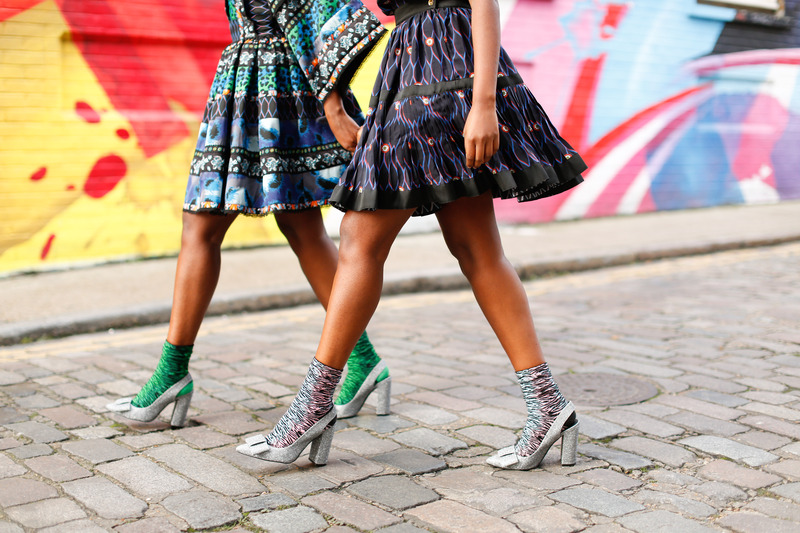 You may think it looks insane but we really love the heels and socks trend right now. 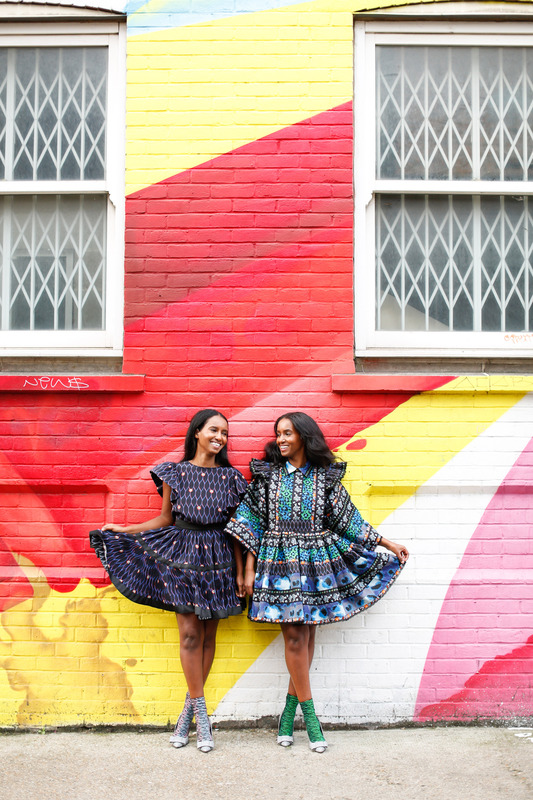 The clothes you wear reflect your personality so be bold and lively. Don’t be afraid to embrace it. What can I say about this? I can’t express how I feel about u girls and ur blog of being_her…because there are too many words come out at once but it is all good ~ I am truly proud of u both. And I simply want my daughters be like u both, special bond not just as a sister or best friend but deeper.